There’s no doubt about it – the adult coloring fad is all the rage right now, and why not? With tons of great designs now available to choose from, it’s a relaxing and even rewarding way to kill some time. Of course, most of the coloring books marketed for adults have leaned towards mandalas or floral designs, so the idea of a little variety is a welcome one. 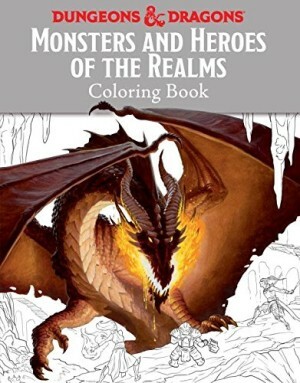 The Monsters and Heroes of the Realms Coloring Book is a Dungeons & Dragons branded item from Wizards of the Coast, so you know that the creatures and conquerors within its pages are both thoroughly researched and painstakingly designed. For the Dungeons & Dragons super fans, it’s a perfect melding of the tabletop game and coloring as a pastime, and there are even some full color pages included that both serve as a guide when coloring and offer some stunning images of favorite characters. 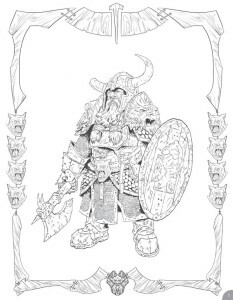 But this isn’t a book for D&D fans alone – it has a lot to offer for anyone who loves fantasy, or even someone who just looking for something a little different to color. 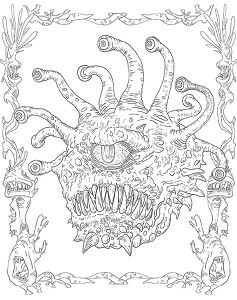 The Monsters and Heroes of the Realms Coloring Book is printed on a nice, heavyweight paper that holds up well to repeated use, and resists bleeding. Though I would have liked the pages to be serrated for easy removal, overall it’s a nice coloring book that offers some really intricate designs to keep you busy. The end of the book lists each illustration, along with the artist who created it, and where the image was first used, alongside card sized images of each picture. 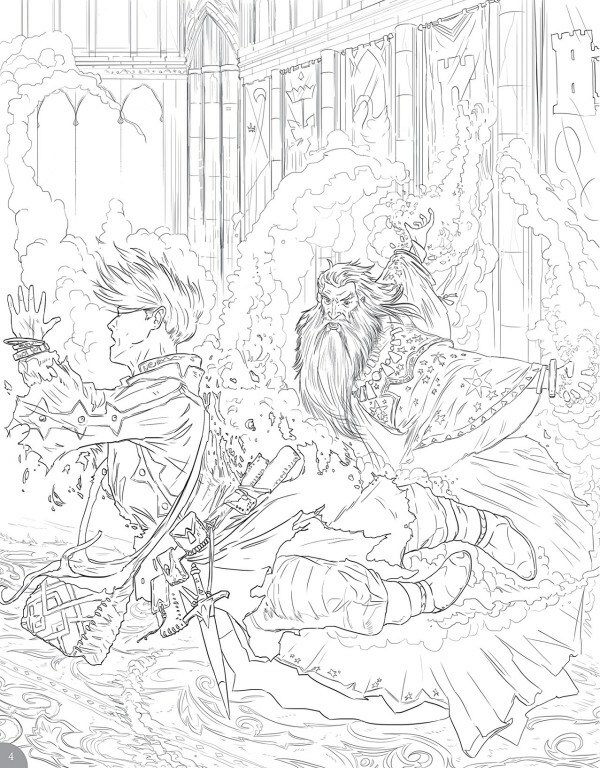 This is a nice feature for those who are interested in more from the artist – or those who’d feel inspired by their coloring to dig a little deeper into the realms. The Dungeons & Dragons Monsters and Heroes of the Realms Coloring Book is a great gift for the D&D fans in your life, offering quality construction, intricate designs, and the creatures and heroes they know and love. 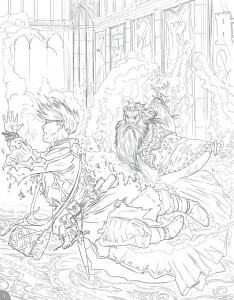 It’s also a great choice for those who love fantasy of any sort, and it’s sure to be a welcome addition to any coloring book library.